Step 6. 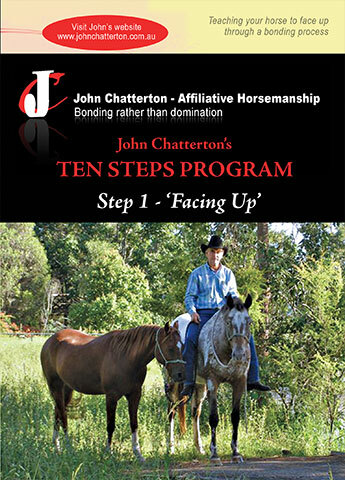 Teaching your horse to yield to pressure – Up, forward and down in preparation for tying up. 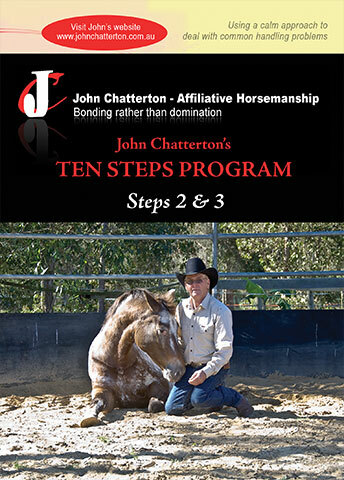 Step 7 – Teaching a young horse to move their shoulders and hindquarters has many advantages. We like to refer to this step as ‘giving to pressure’. 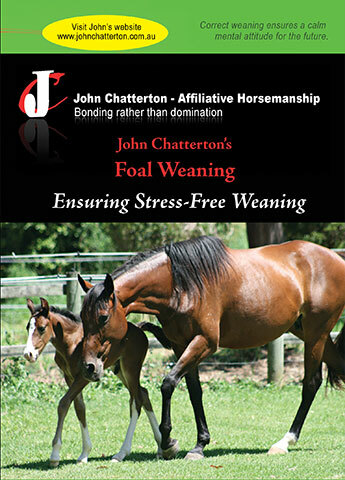 Many horses have never been taught how to give to pressure, and may react dramatically when standing on their lead or reins, or getting a rope caught around themselves or even stuck in a fence. Most horses have learnt to put their head up and pull against pressure. John uses, what he calls ‘upward pressure’ instead of downward pressure. 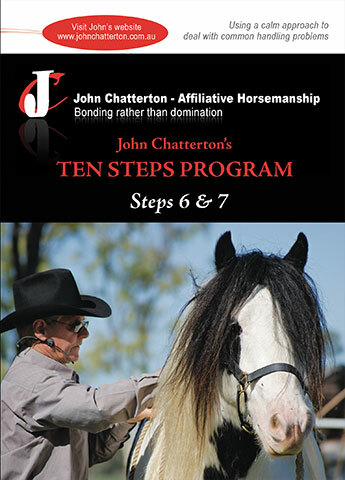 The seven stages in this step have saved horses from being injured after they’ve been taught not to panic and pull back, but to confidently feel the pressure and release it on their own by relaxing the neck muscle, stepping forward and lowering their head themselves. How often have you seen a horse pull back or get his lead caught around the mud guard of the float then panic from not knowing how to release his own pressure? This step will also cover yielding to pressure around the leg and how to teach your horse a verbal signal to move forward without the use of whips or swinging leads to make them go forward. This step teaches your horses to politely move his shoulders and hindquarters with signals rather than hand or body movement to push your horse out of your space. When taught correctly on the ground, this step in very valuable when under saddle and has many purposes in everyday handling. An example might be when moving them across in the wash bay or in the horse float. 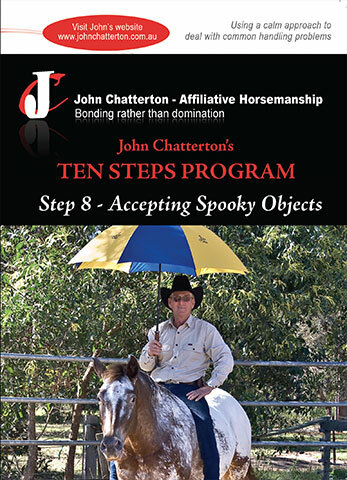 John never uses a heavy hand to push the horse across or a heavy leg when in the saddle!